Recognized Mrs. Shelly Childers as the Employee of the Month. Mrs. Childers is dedicated to ensuring that all of her students learn math and provides tutoring to students before school, after school, and at lunch to support them. Recognized the Principal’s Leadership Award recipients: Lindsay Burson, Troy Dino, Emily Porter, Haley Clayton, and Mallory Pyron. Recognized Mrs. Clarice Long as the VFW Teacher of the Year. Recognized the Senior Cheer Team for winning the 3A division from the Arkadelphia Cheer Competition. Recognized the Senior Football Team for making it to the semi-finals of the state championship. Presented a letter from State Senator Johnny Key recognizing Smackover Elementary School for its designation as an exemplary school. Listened to a report from Mr. Mike Cobb regarding the recent audit of the Smackover School District. Cobb reported that the district had met all of the requirement for the year ending June 20, 2013 and had received a clean audit. Adopted a resolution regarding the Six Year Master Facilities Plan. Approved a $500 bonus for all district employees. The Smackover School Board meets in regular session on the third Monday of every month*** at 5:30 pm in the board room of the Central Office. The public is invited to attend. ***Due to holiday in January and February, the board has rescheduled meetings for those months. The January meeting will be held on January 27th and the February meeting will be held on February 24th. Posted in Buckaroo Board on December 27, 2013 by The Buckaroo Blog. At the recently held Arkadelphia Classic Cheer Competition, the senior Buckaroo cheerleaders won the 3A division competition. In addition, they won the overall high point award by outscoring 13 other schools from the 2A division through the 6A division. The competition cheer team is made up of the following 14 girls from 9th through 12th grades and is coached by Mrs. Clarice Long. Posted in Buckaroo News on December 26, 2013 by The Buckaroo Blog. The Principal’s Leadership Award is an application process presented to the top 10% of the senior class based on six semesters. Students are chosen based on leadership, activity membership, and community service. The students were presented certificates at the December school board meeting by Mr. Joe Bates, Smackover School Board President, and Mrs. Jan Henderson, high school principal. Posted in Buckaroo News on December 23, 2013 by The Buckaroo Blog. On behalf of the Smackover School District, we wish you a merry Christmas! May you enjoy the blessings of friendship and family throughout the Christmas season! We look forward to seeing your children return to school on Monday, January 6. Posted in Uncategorized on December 20, 2013 by The Buckaroo Blog. Second and third grade students from Smackover Elementary School presented the school’s annual Christmas program on Thursday morning. A special thanks to the students and teachers who worked so hard on this production! Posted in Buckaroo News on December 19, 2013 by The Buckaroo Blog. 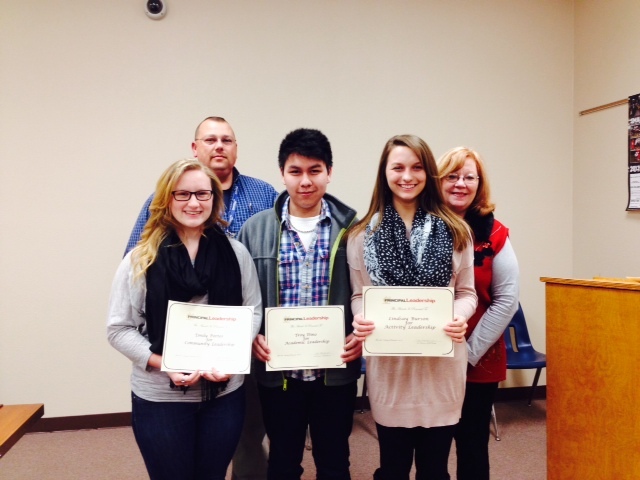 The Smackover School District’s Spelling Bee was held on Tuesday, December 17th. Both students will represent Smackover Schools at the Union County Spelling Bee. The Kindergarten teachers took their students to many of the local businesses to sing Christmas carols on Tuesday. 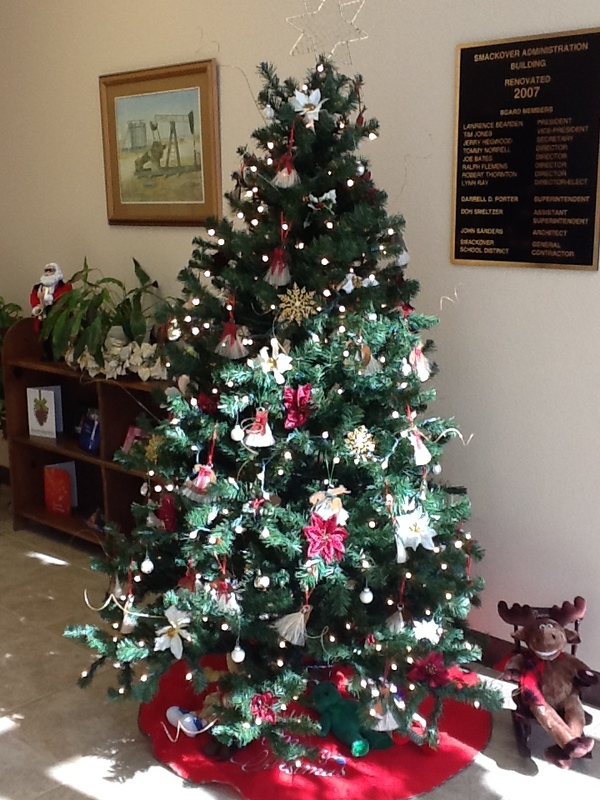 They stopped by the central office as well to sing Rudolph, the Red-Nosed Reindeer and Up on the Housetop. Check out all of their fun! Posted in Buckaroo News on December 18, 2013 by The Buckaroo Blog.